My friend and I had never heard of this store, but after walking through the doors we knew we would love this place. 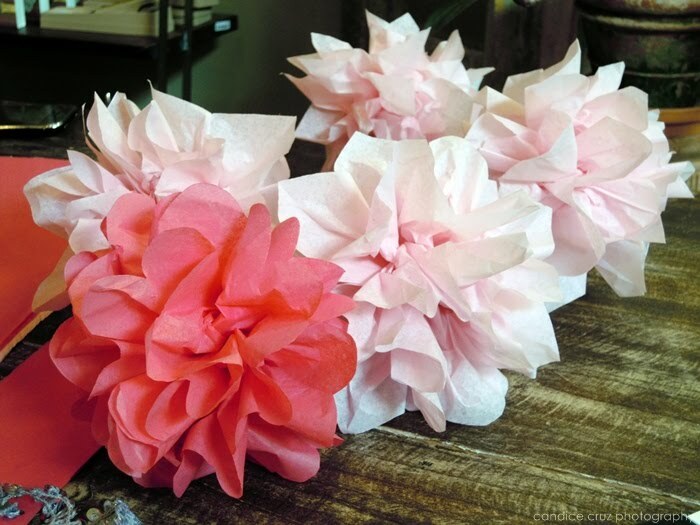 Plus after the fact that one of the employees was sitting at a table making beautiful tissue paper flowers – and that she took a minute to tell us how to make them – I knew we would probably be there for a good amount of time just gawking at everything. And by everything, I mean pretty much everything. They carry some exquisite plants (orchids, myrtle, moss), gorgeous clothing, baby and kids’ toys, stationery, lotions, vintage jewelry, home goods and more. I love the combination of yellow, black, white, and green that they used in this display. And the best part of the store? An adorable little dog named Kiki. 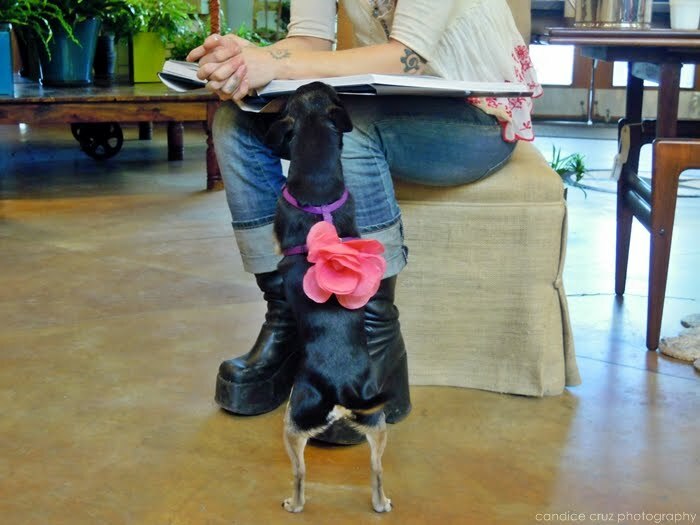 And on this occasion, someone strapped one of the pretty paper flowers onto her back. I ended up taking a lot of pictures there, and I’m sure the people that work there were thinking that I was nuts (sorry ladies!) but there were just so many pretty things everywhere. To see more pictures from the shopping excursion, click here. 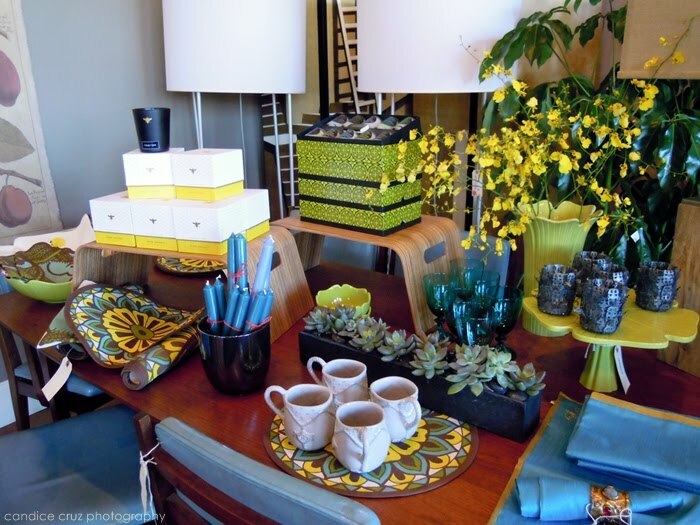 This entry was posted in chestnut hill, inspiration, portobello road, retail therapy, shopping by shortcakescraps. Bookmark the permalink.